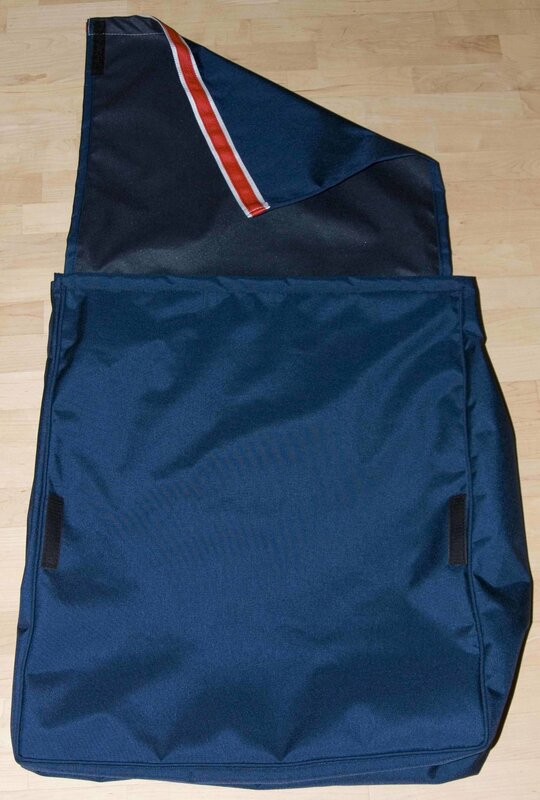 The BarnSmart Stall Bag hangs on a stall door, blanket bar, vertical bars, or horse trailer, and holds all you need. A heavy quilted winter blanket only fills the bag half way. Extend the life of expensive horse clothing by keeping it clean. Make cleaning barn aisles easier with no trunk or clothing obstacles in the way. Keep all your horse paraphernalia in one place. Create a professional look in your barn. 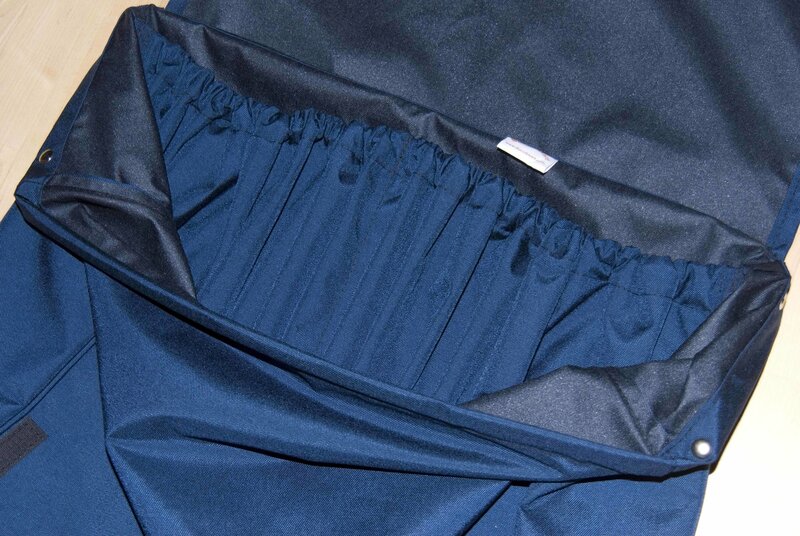 The Best Barn Stall Bag on the Market! A heavy quilted winter horse blanket only fills the bag half way. Really! 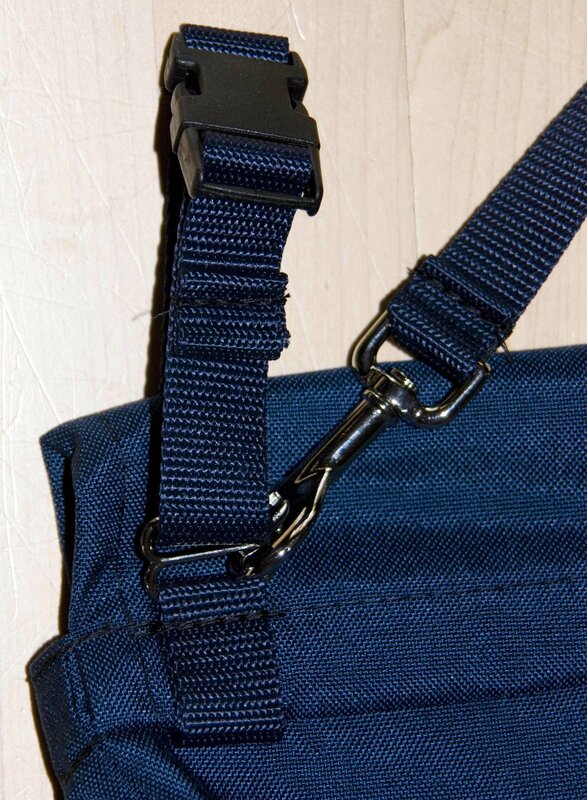 Keep polo wraps, quilted leg wraps and other smaller items at hand. We only use Genuine Cordura material. There’s a difference, and we use the best! Quality hardware and materials ensures years of reliable service. Custom Colors to Match Your Barn! Please send us a message through our contact form if you would like a note from us when we have clearance bags available or are ready to produce a custom bag or two for your barn or show. We sincerely appreciate your interest in our products!